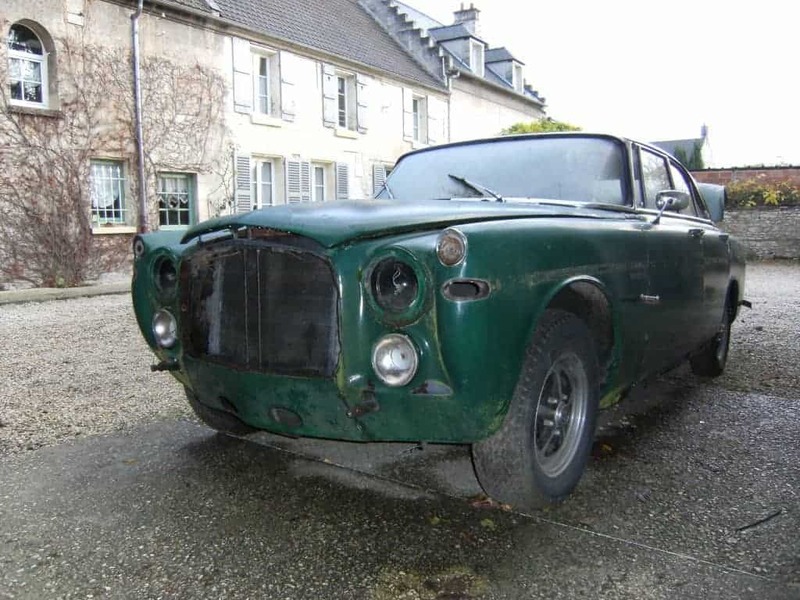 Lets start the next chapter in the dismantling of a Rover P5 by Cyrille, who has kindly allowed the use of his images. 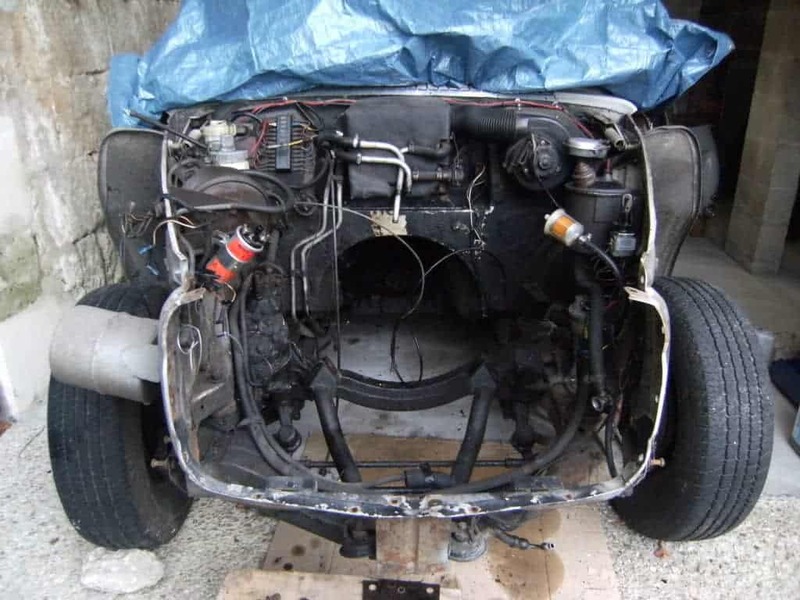 Here Cyrille shows the dismantling of the front bodywork and removal of the subframe. The P5 body features numerous panels that can be simply unbolted. As mentioned in the Introduction, it’s interesting to compare the first images here (which don’t look too rotten) to some of the later photos of what lies beneath. In the next photo of the front right wheel arch, you can see the splash panel behind the wheel. This encloses the door pillar area (A-pillar), which is a complex part of the car that features the pillar, box sections, front of the sill, and the scuttle. There is a lot to repair in this area if it’s very rusty. 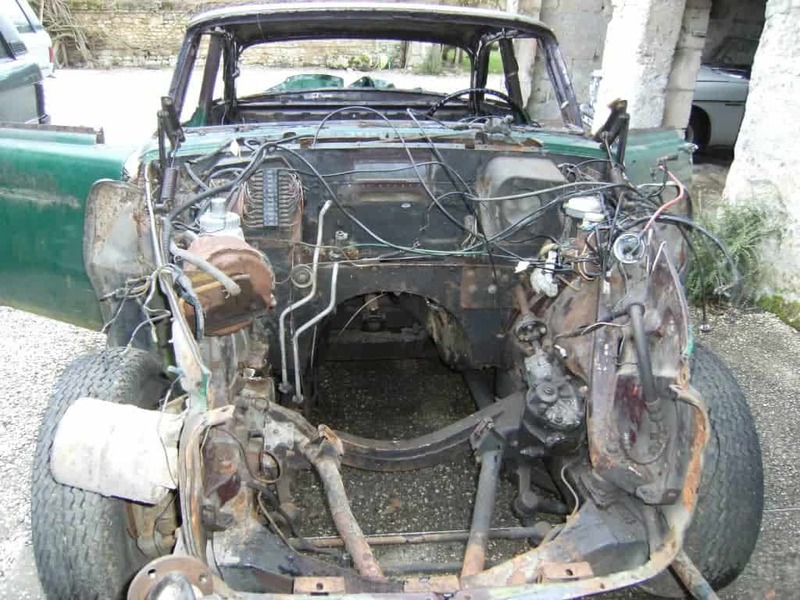 Here’s a view from the front with the bonnet slam panel, front valence and front grille surround /radiator mount removed, and the engine and gearbox extracted. The tubes running front-to-back under the engine are part of the P5B subframe: the P5 subframe is different in this area. Here’s the inside of the front wing. 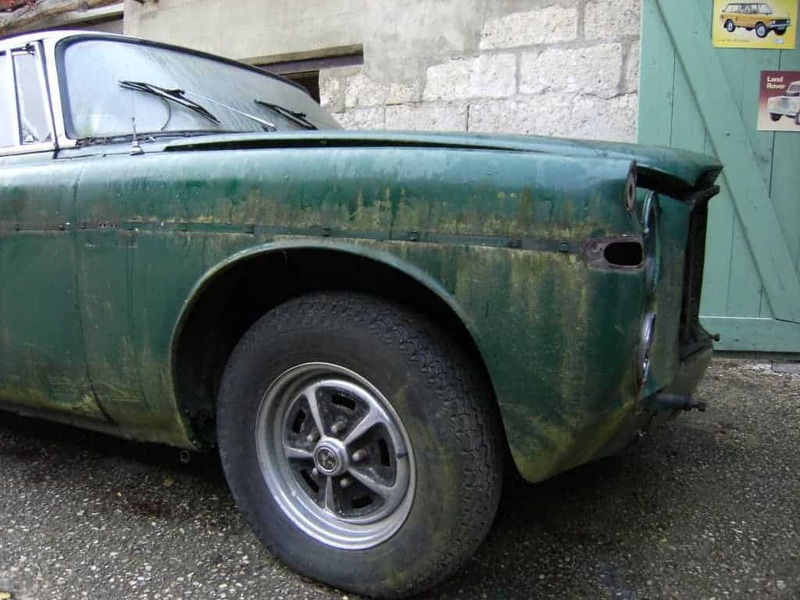 As you can see, its rusty but not too bad – certainly re-usable after being cleaned-up. The area in the bottom-right of the photo is what was covering the previous photos rot – as mentioned before, P5’s are quite good at hiding rot beneath panels that look superficially OK. The front wing is actually formed of two panels that are welded (braised?) together – the front pressing for the lights is separately formed and there’s a seam running across then diagonally down and backwards to the wheel arch lip. 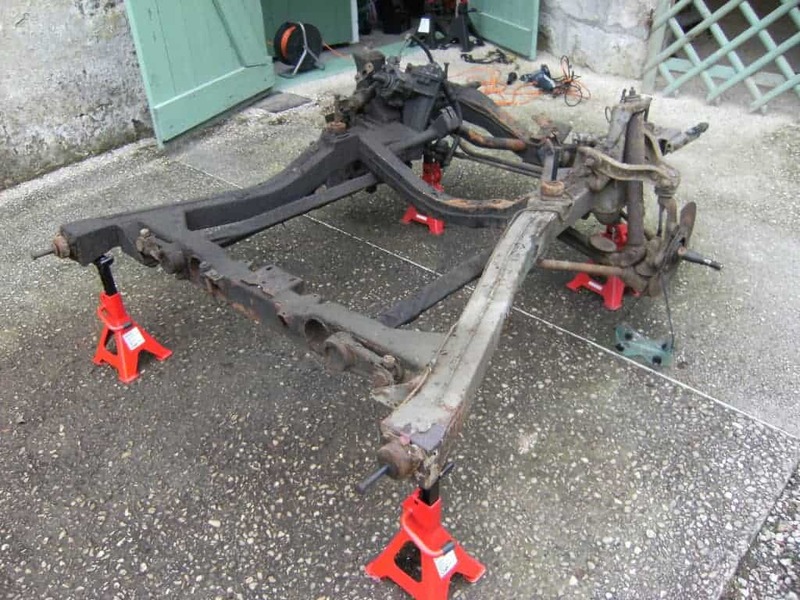 Finally, here’s the front subframe removed from the car. 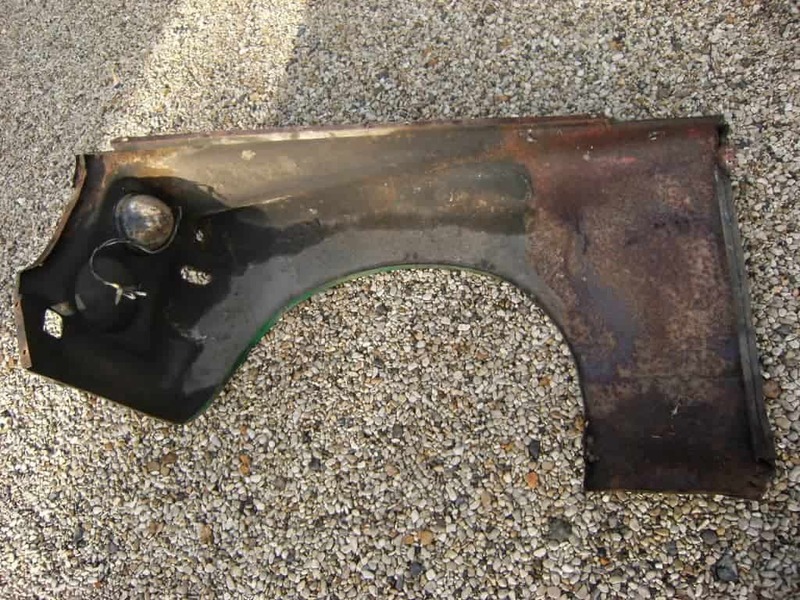 This is a very substantial item, although it can rust, primarily along the bottom of the rear cross-member. Starting at the left (rear) of the subframe and working right, we can see the bolts that mount the ends of the subframe – these mount approximately under the front seats, with the mounts on the ends of the subframe rails to control excess front-to-rear movement of the subframe. Then we can see the torsion bar adjusters – its possible to vary the height of the front of the car slightly by adjusting these bolts that vary the ‘set’ of the torsion bars. The torsion bars are the two square-section tubes running forwards parallel to each other – these locate in the lower wishbones. They are each made of numerous torsion leaves. 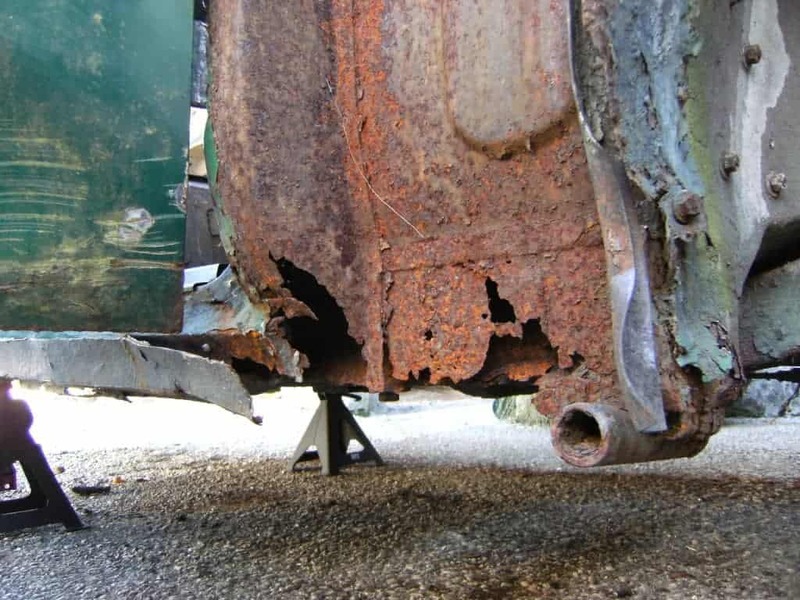 On the upper face of the subframe we can also see two of the circular mounts that bolt to the body – these are isolated with rubber to insulate the body from noise and vibration. There are two more mounts at the front (not in view), making a total of 6 subframe mounts. We can then see the front suspension and dampers, with the engine mounts just in-board of the dampers. Note also that the steering box is still mounted on the left of the subframe. 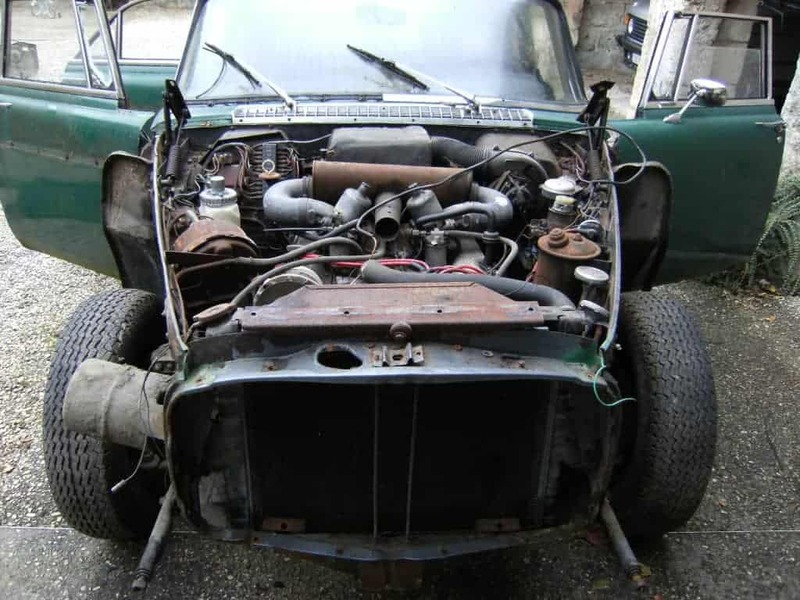 Although notionally a monocoque body, the P5 was something of a hybrid: the front featured this significant subframe, and the rear (as we shall see later) features ’chassis rails’ that are integral with the bodywork. Obviously this was in the early days of monocoque construction, long before computer stress modelling, so the answer to uncertainty about managing stress was often to add more steel! 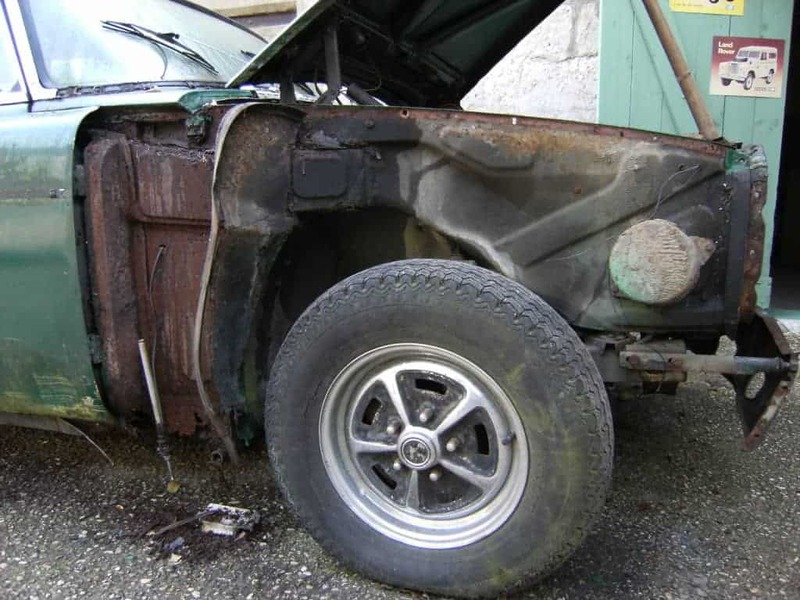 The next part will look at dismantling the engine. Stay tuned and Subscribe! Receive the latest site updates and news for free, straight to your inbox. You have successfully subscribed. Thank you. We will never share your details, and you can opt-out at any time.